Alice L. Cleather was one of the direct disciples of H. P. Blavatsky in London. After H.P.B.’s death in 1891, Alice – unlike Annie Besant and others – chose to remain loyal to her teacher and to the ethical principles of Theosophy. In this Alice Cleather thought and acted the same as William Q. Judge. 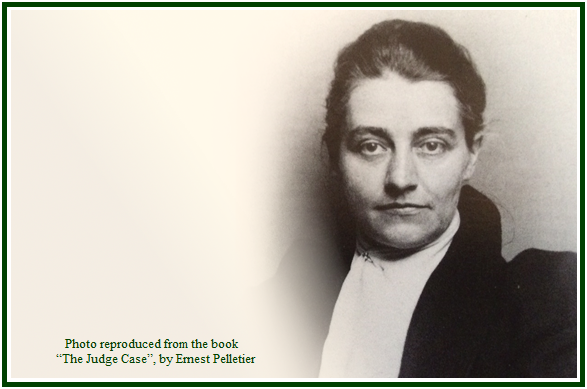 Her books are valuable testimonies on the history and the essence of the theosophical effort. The following article examines a central topic in esoteric philosophy. Studying the correlations and the inner unity among different human “senses” and “sensations” is part and parcel of the awakening of a “higher and universal consciousness”. The present humanity is still undergoing this slow “buddhi-manasic birth”, and if it can get the right speed in time, unnecessary suffering will be avoided. The text “The Music of Colors” was first published at “The Path” magazine, in its November 1895 edition, pages 249-251, under the title of “Color Music”. The 1882 text “The Harmonics of Smell” , which a Mahatma of the Himalayas “caused to be written”, also brings most useful elements for an understanding of the inner and higher unity among the different human senses. Study and contemplation of these matters allow students to make significant progress towards an awakening in consciousness. The well-known Russian musician and composer Alexander Scriabin (1872-1915) met Mr. A. W. Rimington, the inventor of the “color organ” to whom Alice Cleather refers in the following article, and created several works dedicated to the combination of sound and color. Scriabin was also a Theosophist and a student of “The Secret Doctrine”. He got under the influence of the Adyar Society at the height of Annie Besant’s clairvoyant fancies and distortions, coming to suffer from some lack of common sense and equilibrium, and dying in his early forties. Indeed the esoteric philosophy must be studied with calm and discernment, for its researchers have to protect themselves from many kinds of dangerous illusions. The importance of the interaction among color (sight), sound (hearing) and other senses remains as great as ever, and the several contributions made so far to its study are of essential significance in theosophy. “Occult or Exact Science?”, can be found at “Theosophical Articles”, H. P. Blavatsky, a three-volume collection published by Theosophy Co., in Los Angeles, in 1981. See volume II, pp. 46-74. It can also be read at the “Collected Writings” of H.P. Blavatsky, T.P.H., volume VII, pp. 55-90. “The Harmonics of Smell”, “Collected Writings”, H.P. Blavatsky, TPH, volume IV, pp. 177-179. The article is available in our associated websites. See “The Mahatma Letters”, T.U.P. edition, Pasadena, 1992, Letter XVI, answer number 3, p. 102. The occult aspects of sound and related vibrations are discussed in the book “The Secret Doctrine”, by H.P. Blavatsky (Theosophy Co., volume I, pp. 564-565) and in William Q. Judge’s article “Occult Vibrations” (Theosophical Articles, W.Q.J., Theosophy Co., Volume I, pp. 423-426) among many other texts and works of the theosophical literature. See the article “Scriabin, Composer, Theosophist”, in “The Theosophist” magazine, Adyar, India, August 1945 edition, pp. 198-199, and the entry “Scriabin, Aleksandr Nikolaievich”, in “Encyclopaedia Britannnica”, 1967 edition. “Color Music” is the name given by Mr. A. Wallace Rimington to a “new art” of which he claims to be the discoverer, and as this new art or discovery of his has taken him some considerable way along the lines upon which many of us – pupils of H.P.B. and students of the Secret Doctrine – are working, I have though that a short account of it might interest readers of the PATH. Mr. Rimington’s first exposition of his new art was to a crowded audience at St. James Hall. Finding that the gentlemen was an old family friend, I wrote to him on the subject and obtained from him a copy of the address with which he prefaced the first performance on his “color organ,” and in which he briefly sets forth the “how” and the “why” of his discovery. I find from a study of the programme which Mr. Rimington provided for his guests and a printed copy of which he sent me, that this said “color organ” is the particular instrument which he has invented for producing the color-music, although the mechanism used is entirely different from that which we are accustomed to connect with the organ proper. The new instrument resembles an organ – hence its name – and is provided with a keyboard, constructed exactly like that of a pianoforte, and upon which any piece of music suited for a keyed instrument can be played. The result appears upon a large screen or color-field of drapery, which – in the performance given at St. James’ Hall – occupied the whole of the end of the concert-hall; and upon this screen every note or combination of notes struck on the keyboard showed itself in floods of color. The programme was a varied and most instructive one. The pieces of music chosen were sometimes given simultaneously on the pianoforte and color organ, and sometimes with the latter alone; but an extract from Dvorak was given in both sound, color and form, the latter being “introduced during a few bars” as the “form produced by musical sounds upon a liquid film on the Watts-Hughes principle.” So here we have practically demonstrated the reality of the triad postulated in the Secret Doctrine teachings as underlying all manifestation, viz, form, sound and color, or more properly, number, color and sound. Wisdom is again, as ever, justified of her children, and there are abundant signs that H.P.B.’s prophecy is coming very near to its fulfilment, though we still number five more years to the completion of the century. “If we take a ray of white light we have that which contains every color in nature. Such a ray may be split up into all the colors which compose it, by being passed through a prism and spread out into what is known as the spectrum band…. In the instrument I have invented, and which I propose to call the ‘color organ,’ I have taken a certain number of points, at carefully calculated intervals, along the whole of this spectrum band, and have devised means for obtaining the color at these points as accurately as possible, in much larger quantity, and in variable intensity. The colors thus selected have been placed under the control of a keyboard like that of a pianoforte…. “This new art introduces three novel elements into the use of color -viz: time, rhythm and instantaneous combination. “It is evident these three elements are associated with one other art only – namely, music. Notes of music and notes of color can in these respects be treated in exactly the same way. . . There are, however, other reasons for attempting to use color as we use musical sounds, but about which there will be some divergence of opinion. . . .
“Taking the spectrum band as the basis of all color, there are two remarkable points of resemblance between it and the musical octave…. The first of them is that the different colors of the one, and the different notes of the other, are both due to various rates of vibration, acting on the eye or the ear, ….. (passing to) the second and equally remarkable analogy between the octave of color and the octave of sound. The point, therefore, that Mr. Rimington goes on to suggest and emphasize is that as the blue end of the spectrum shows a tendency to a return to red in the violet, and the red end of the spectrum shows a similar tendency towards a reappearance of blue, in the fact that it passes from scarlet to carmine before it fades away, so it may be surmised to be almost a certainty that if our eyes could see them the colors of the visible spectrum would probably repeat themselves in successive octaves, in the great invisible portions beyond the red and the violet. This is quite the nearest approach to our septenary scale, seven times repeated, that I know of; and Mr. Rimington has worked from “these remarkable physical analogies” in the construction of his new instrument, thus demonstrating their correctness as hypotheses. Further, he seems to be of the opinion that “the close physical analogy between the octaves of color and sound has its physiological and psychical counterpart.” Mr. Rimington’s ideas are therefore seen to be capable of a much greater development, and Theosophists will watch with interest for indications of the particular direction along which they will extend. At least he has done us an unconscious but most signal service in thus proving by practical demonstration the intimate vibratory correlation that exists between sound, color and form.